The 2016 Olympics in Rio de Janeiro have sparked controversy regarding the amount of money invested in hosting the Games, given that many of Rio's citizens live in poverty. The juxtaposition of the extravagant Olympics arena with the favelas — the poorest neighborhoods — raises the question of where else that money could have gone. In an effort to bring something positive from the Olympics to Rio's citizens in need, a group of chefs have begun an initiative to provide thousands of meals daily to the city's hungry residents, using surplus food from the Olympic Village. The initiative, named RefettoRio Gastromotiva, is the brainchild of Brazilian chef David Hertz and Italian chef Massimo Bottura. Along with a team of international chefs, they use "non-manipulated" ingredients that would otherwise be thrown away at Olympic Village, which are provided by the Games' caterers. ABC News reported that the city of Rio is supporting the effort by providing the chefs with a building in which to cook, and more than 40 individuals and organizations support the initiative. Perhaps the best part about RefettoRio Gastromotiva is that the chefs are working to make sure that it far outlasts the Olympic games. "After the Olympics and the Paralympics, this place will continue as a social business," Hertz told Reuters, so long as they find investors. He also hopes it will become a place where aspiring cooks and waiters can receive vocational training. ABC News reported that Rio has given the building to RefettoRio Gastromotiva for 10 years. According to The Borgen Project, about 20 percent of Rio's population lives in favelas. And according to the city's website, more than 5,500 people in Rio experience homelessness. "We want to promote as much change as possible using gastronomy as a tool for social change and social inclusion," Hertz told Reuters. The chefs hope that similar initiatives will be pursued in Olympic host cities going forward. Hertz runs an organization in Brazil called Gastomotiva, which provides youth from impoverished families with kitchen training. 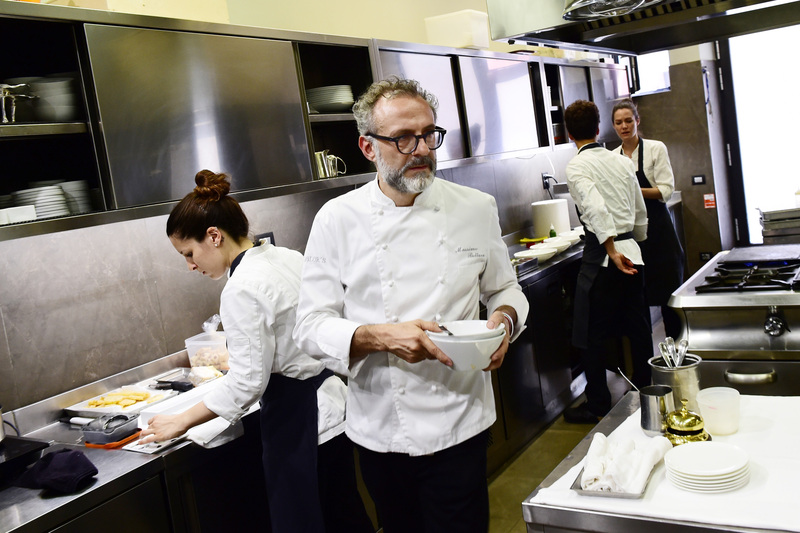 He and Bottura launched a similar project to their Rio initiative, called Refettorio Ambrosiano, in Italy during 2015's Milan Expo, and it continues to operate today. The cost/benefit analysis of hosting the Olympics will likely go on years after the Games leave Rio. If RefettoRio Gastromotiva is successful, it will be a clear positive for the city's residents.